The Serenity prayer cited above gives a clear indication to human beings to lead a fulfilling life. If the reader is an atheist or agnostic, you are requested to ignore the word ‘God’ and continue reading other words! You can supplant ‘God’ with other words such as ‘Spirit’,’ Universe’ or something meaningful to your soul. Let’s go through each line in the above prayer and understand the implications. Each line is soaked with timeless wisdom. There are many things that you & I cannot change individually – our skin color, parents, family environment, government policies, economy, conflict with neighboring countries, recession, tax laws etc. Since we cannot change them, it’s better to make terms with them and accept the reality with grace. There is supreme power and energy in this line. Once we accept the things we cannot change with serenity, we will realize that there are countless things that we can actually change. Every choice we make from moment to moment in our life, we have an opportunity to make the right choice! For example, getting up early, working out to get in shape, treating other people well, being assertive, seeking help from a coach, eating healthy food, reflecting on our values & life purpose, pursuing our passions, following our callings and so on… All we need is the courage to act and move in the right path. The third line calls for the discernment to distinguish between things we can change and the ones we cannot change. When we try to change something that we cannot change and passionately hate it, we get derailed from our path of action. Our energy will be spent on areas of least importance. By the same token, we need to become aware of life areas that we can change and stop labeling them as immutable. Let us remember – ‘Stress comes from NOT doing what we know we should be doing’. When this wisdom and discernment is missing, we experience a lot of heartburn and frustration. Elevating this discernment should become a high priority in our daily schedule. This can happen only through personal development, self-reflection and self-analysis. 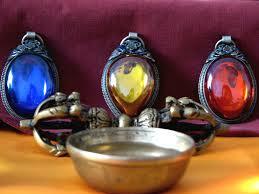 Serenity, courage and wisdom are three most important jewels in the crown of human consciousness. I strongly recommend you to stick the Serenity prayer on your desktop or pin-up board as a constant reminder. PS: I acknowledge the graphics from the internet. I love the above presupposition of Neuro Linguistic programming. Understanding the above presupposition intellectually and emotionally will radically change our behaviors and interaction with other people. While this presupposition has exceptional role in many NLP patterns and change work, this article is centered on leveraging the presupposition for communication and personal change. To make the idea simple to digest and implement, let’s take an example of two co-workers Ram & Shyam who are in the middle of a conversation. Since they have different viewpoints about the topic, they are unable to proceed further to take a decision. Let’s assume Ram decides to explore Shyam’s map of the situation and asks the below question. What’s the useful intention behind Shyam’s viewpoint? After asking this question, Ram intently listens and understands the rationale behind Shyam’s views. Listening without interruption is not an easy skill. We pretend to listen and prepare to respond! Shyam also gets a better clarify on his own viewpoint ,values and beliefs by verbalizing his thoughts. Now together they can explore a new solution by posing another question. What are the alternative ways to satisfy this useful intention? This is a powerful question and sets them thinking in a new direction where the focus is on ‘what is right’, not ‘who is right’. I know this may seem like an oversimplification of the problem at hand. In my view, when it comes to communication and conflict resolution it all boils down to knowing others’ perspectives. Knowing internal maps of the other person is the key to negotiation and agreements. 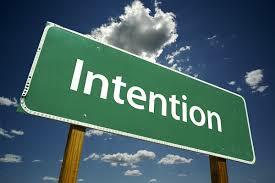 Probing useful intentions can also help us in understanding our habits and behaviors. A few months ago I started drinking coffee almost every day at a coffee shop. I didn’t like my behavior intellectually; this coffee break was appealing to me emotionally. I wasn’t aware what’s driving me to the coffee shop and making me consume caffeine. One day I sat in silence and I asked myself, ‘What’s the useful intention behind this behavior’? I realized I enjoyed reading books in a quiet place (and this particular coffee shop wasn’t much crowded) and that intention was useful. In this light of new awareness, I searched for alternative ways to satisfy the useful intention of reading books. I found that I could afford a 15-minute break at work and read 5 pages of my favorite book every day. I haven’t been reading books in coffee shops these days as I am doing that during short breaks at work. Now my visits to coffee shops are with my wife Anusha to have quality attention on each other [we know the useful intention and we like this way] J.
PS : I acknowledge the graphics from the internet. The more I read about how human beings think, make decisions and take actions the more I get fascinated with the art of listening and probing. 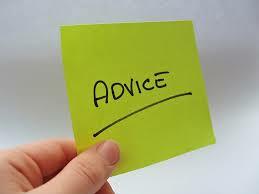 When we have conversations, it is so natural for us to give advice to someone’s predicaments and challenges. We act like Chief Advice Officers (CAOs) and assume that people are yearning for our solutions & suggestions to their problems. Do you think people will listen to your ideas and change? If so, obesity will be vanished from our planet [or any such problem for which everyone knows the solution]. It’s not about knowing, it’s about doing what we know! It appears to me that we pretend to listen and prepare our advice while other people are talking to us. While you are reading this article, you might be thinking that you are different and you don’t wear a CAO hat when you talk to people. Why don’t you try this out and explore your own behavior? Here is the exercise that you can try. Whenever you have a conversation with someone at workplace or home, notice what you do when the other person shares his/her problems [perceived predicaments]. Notice your tendency to interrupt and start giving advice or asking leading questions to impose your judgments. Initially you will actually realize this after giving the advice; and you will gradually stop offering unsolicited advice to people. Instead of giving ideas, see if you can ask questions to know about their thinking, values and beliefs. Behavior is the fruit; thinking is the root. I started noticing my tendency to advise and show my knowledge this year. I was astonished to hear my lectures to people’s problems and their indifference to my ideas [as they didn’t follow my preaching]. In a matter few weeks my propensity to solve others’ problems reduced and I became a better listener probing more about people’s thinking. I strongly recommend you to try this exercise and see a sea change in your ability to connect with people around you. When you listen, you show that you are interested in others – that’s the key any human interaction. If you like this article, please read Quiet Leadership by David Rock to know more about this topic and try additional exercises recommended in his book.